First of all, my sincere apologies for the delay in announcing the Winner of The Long and Short Reviews’s 2017 Holiday Blogfest. The horrid flu that’s hurdling across North America felled me, not once, but twice. Trust me, if you haven’t had a flu shot – go out and get one pronto! Congratulations to ELF, who won a FREE copy of Sinner!!! But, since I’ve been so remiss, ELF, not only will you receive Sinner, but you’re getting the ENTIRE boxed set of THE HADES SQUAD series!!! In addition to SINNER, you’re receiving; LUCIFER, DEVIL, DEMON, & SATAN! I hope this makes up for my unforgivable tardiness. Since I managed to sleep through the new year, and then had to work like a dog to catch up with almost two weeks of missed work, I’d also like to wish everyone a HAPPY 2018! Please, dear God, make it a gazillion percent better than 2017! The best thing that happened to me last year was the engagement of my young’un to his girlfriend (who I told very early in their relationship after perhaps too much wine – you’re the perfect daughter-in-law…trust me I got reamed for that remark). Now that I have five Hades Squad covers, all the work of the uber-talented Georgia Woods, I had, had to show them off all side by side. What better day than hunk day! Find Your Next Great Read Online Scavenger Hunt! 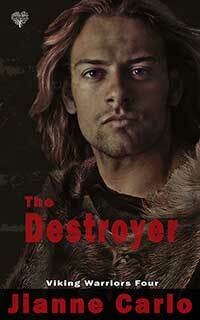 Got the cover for Book #5 in The Hades Squad series today and couldn’t resist sharing. A nice way to end the week! P.S. 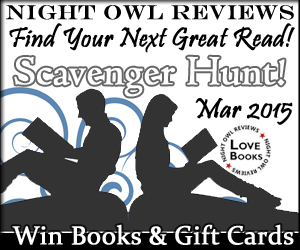 I’m part of Night Owl Reviews Fine Your Next Great Read Scavenger Hunt! Check out my prize on March 1, 2015!